Centre the spigot in the socket as Fig. 1. Slide the pipes together and the lubricated flap will move over top of the compressed rubber seal as Fig. 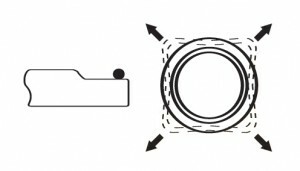 2 and finish as shown on Fig. 3. 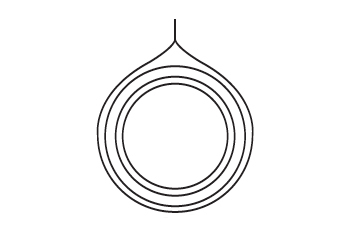 The relevant pipe diameter is stamped on each rubber ring. Rubber rings should be carefully stored and protected from sunlight, oils, greases and heat, if rings have been tied they should be separated a few days before using in order to eliminate minor impressions the tying may have caused. Joint rings are normally Styrene Butadiene Rubber (SBR) complying with BS 2494. Nitrile and Ethylene Propylene Rubber (EPDM) can be supplied if specifically ordered to meet special conditions, but are not normally available from stock. Brush and wipe the end of the pipe fitted previously to remove any particles or water, ensure that the receiving socket is clean and undamaged. Inspect the joint faces for damage which may affect the performance of the joint. Use only proper lifting equipment, eg woven slings. Make sure the pipe is balanced so that it is horizontal. Fit the correct ring the in correct position and equalise the tension by lifting out intervals at its length and letting it snap back against the socket. 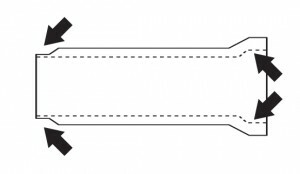 Make a recess in the bed to accommodate the pipe. Carefully centre the spigot within the socket. The jointing procedure should develop a steady controlled push or pull until joint is in final position. 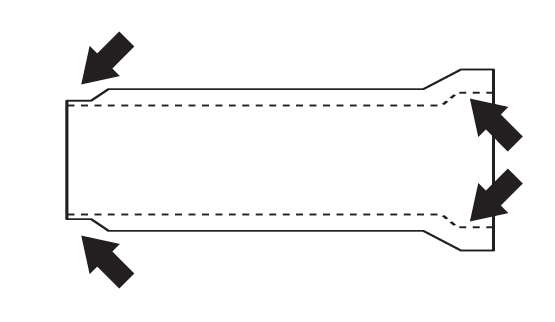 Method of jointing will depend on size of pipe. 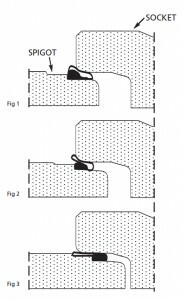 Ensure timber blocks are used to prevent damage to socket of pipe. Mechanical plant should not be used to push pipes down to their correct level. When jointing pipes the last pipe laid sometimes has a tendency to reassert therefore it should be propped and checked before laying commences. Tracey Concrete’s Spigot and Socket pipes are ideal for surface storm water and foul water systems. 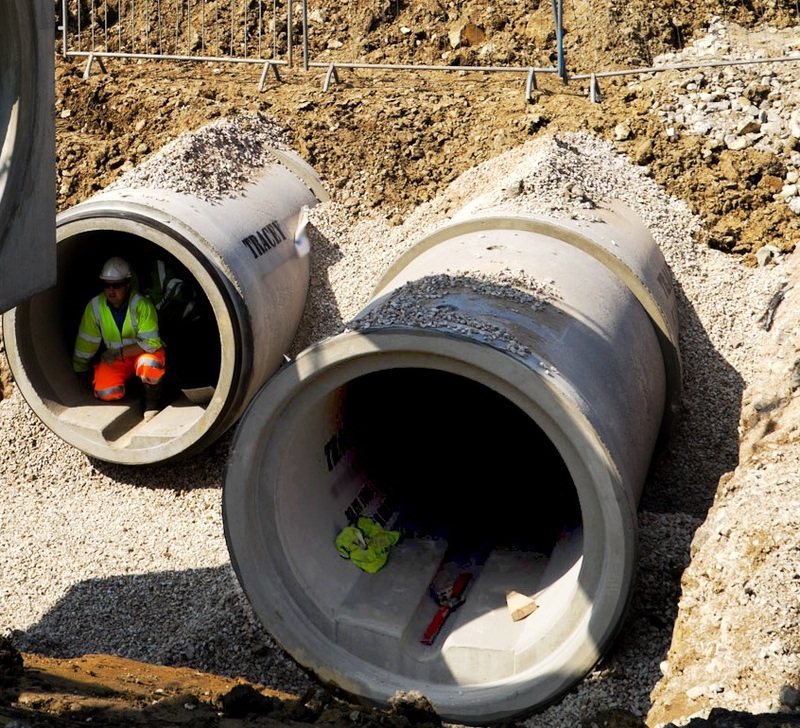 Our pipes have been used for countless miles of roadways and drainage projects throughout Ireland and the UK over the past 20 Years. We also manufacture an efficient surface water attenuation system or SuDS systems.